Anti-Fatigue Mats can be used at ticket counters, gate podiums, baggage areas & TSA security checkpoints. Anti-Fatigue Runners can be used at ticket counters, gate counters, baggage areas & TSA security checkpoints. 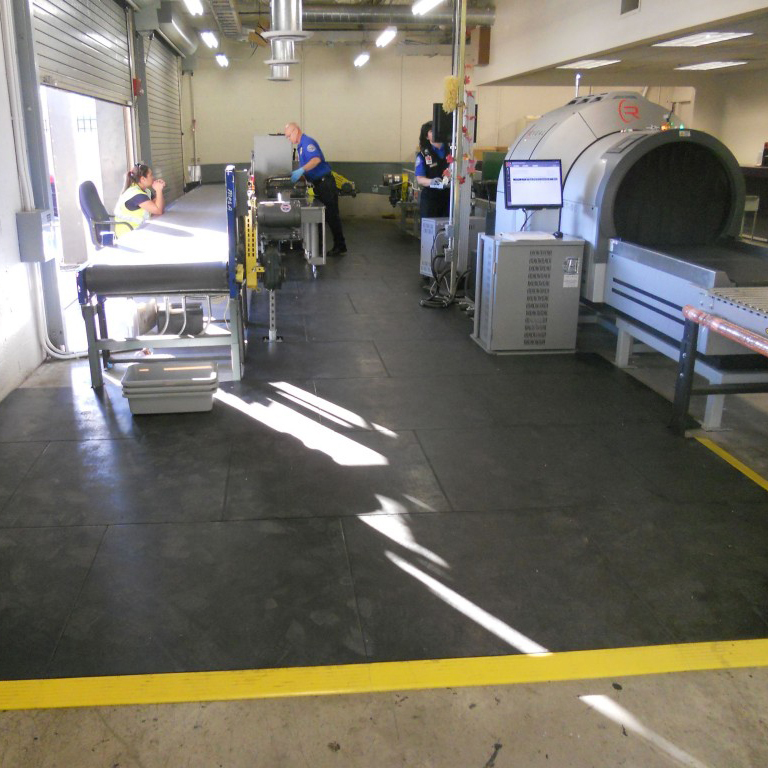 Anti-Fatigue mats are recommended for flooring at ticket counters & TSA – CBRA. Flooring – CBRA designs should include the use of resilient material,… …Flooring should be a safety/anti-fatigue material configured for a wall-to-wall installation and be easily cleanable (reference www.satechinc.com [SmartCells]), which will eliminate the need for mats and runners that can contribute to tripping hazards.